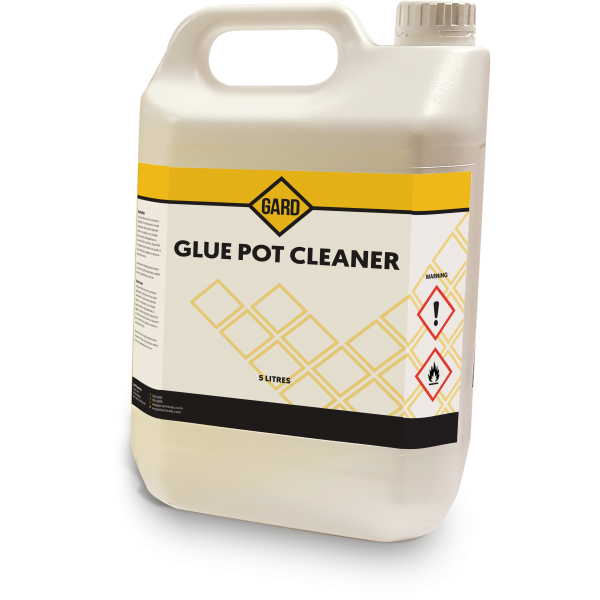 GLUE POT CLEANER is a highly concentrated blend of chemicals and penetrating agents formulated to quickly breakdown all grades of hot melt adhesive from glue pots and knuckle joints. The unique formulation of GLUE POT CLEANER together with its soak tank application saves the costly man hours of trying to scrape and burn out excess glue. GLUE POT CLEANER starts to work immediately on contact and rapidly breaks down all deposits. GLUE POT CLEANER is non-corrosive.